Another thing you do: You flood the Lord’s altar with tears. You weep and wail because he no longer looks with favor on your offerings or accepts them with pleasure from your hands. You ask, “Why?” It is because the Lord is the witness between you and the wife of your youth. You have been unfaithful to her, though she is your partner, the wife of your marriage covenant. At this point Malachi talks about marriage. I think it’s really interesting that out of all the sins God could mention, marital unfaithfulness takes precedence. And he tells us why it is so important. First, because marriage is a partnership, a covenant. We are so stinking independent! It’s hard for us to see what it means to be a partner. It’s foreign for us to see everything through the lens of how it will affect our spouse, instead of just thinking about ourselves and our wants and needs. We are meant to do things as a TEAM. Second, because we belong to God. In marriage, not only are we not independent of each other, we’re not independent of God. HE joined us in marriage, and we made our vows through him. God is intertwined with us. Our every action affects our partner, and it affects God. I really like the English Standard translation of verse 15: “Did (God) not make them one, with a portion of the Spirit in their union?” I love the idea that God actually invests in us with his Spirit when we get married. It’s like the Spirit is the supernatural force that somehow melds two different people. Third, we are faithful in marriage because God seeks godly offspring. This refers to flesh and blood children, but I would say that it can also apply to spiritual children. Marriage is the place where we live out God’s purpose to be fruitful and multiply. There is nothing more important than raising up children in the Lord. There also is nothing more important than making disciples, and bringing others into God’s family. Marriage is the place God designed for this to happen. It is supposed to be a team effort, and both woman and man have their own unique contributions to it. Present a unified front. Women, make every effort to be unified with your husband. That means having talks in private and laying out your opinions respectfully, and then going along with what your husband decides. I know. You think you are right. But God designed things to work a team, he didn’t make it just about you. And that means that sometimes you will have to subjugate your ideas to your spouse’s ideas. Standing up for what is right is a virtue. But God values teamwork and unity. Pray together! This keeps God in your relationship, and sets you up to win. Ken and I get down on our knees together once a week, and then have many spontaneous prayers together throughout the week. We know some couples who have a regular prayer time together every day. This is awesome. Be partners in the gospel. One woman I’ve been reaching out to has two children. On one occasion, my husband took her kids out for pizza so she could get together with sisters. Another time, he played with them in our back yard while she had a function at my house. This impressed the woman hugely. Conversely, I cook dinner for those Ken is reaching out to. We enjoy working together. Let your spouse be enough for you. Just as in the Garden when Satan tempted Eve to think she needed more, we can be greatly tempted to think we need more in a relationship. This is so often why we are unfaithful. One of my favorite proverbs is, “The wise woman builds her house, but with her own hands the foolish one tears hers down.“ (Prov. 14:1) Don’t keep harping on that thing that you wish would change. Zoom out and see the big picture. List the good things about your spouse. Yes, I do think we should communicate to one another, and work our on characters for each other. But our hearts need to be dominated by appreciation and gratitude, not bitterness. As I was writing this, I received a text with the picture of close friend’s baby who was just born. My eyes teared up, and my heart welled with joy to bursting. There is nothing better than a new dear little soul in sweet infant form. It’s the same for God. He wants dear little souls to love. He wants his family to grow, with people who will love him devotedly. This is why God made marriage. It is why forsaking this relationship is a serious sin in God’s eyes. It is why we must make it a priority in our every day to surround our spouse with love and respect. When we do, it is a great gift from God. Are we not all children of the same Father? Are we not all created by the same God? Then why do we betray each other, violating the covenant of our ancestors? It shows us that it is important to keep ourselves away from negative influences. Ken has been really big on this lately. He’s been listening to lessons by David Bercot, who espouses that Christians should maintain a strict purity of life. Bercot says we need to be very vigilant against letting the world corrupt us through the media, etc, and monitor what we watch and listen to. He says we even need to be vigilant against not letting worldly Christians corrupt us. And then yesterday when Mike was preaching, he read, “bad company corrupts good character” in I Corinthians 15:33. He said that we shouldn’t be best friends or spend much time with those whose lives aren’t centered around the resurrection of Christ. I must confess, that sounded a little extreme to me, but I understand where he is coming from. We don’t mean to, but we really do become like those we hang around with. So maybe we’re not guilty of being married to someone who worships other gods, but what kind of detestable practices do we tolerate? How often do we look the other way? Do we give way before the wicked? What do we do when our friends and coworkers cuss, lie, gossip, make sexual innuendos, and so forth? Do we try to separate ourselves? Or have we become so inured that we just carry on, or even join in? Do we really think we can be keep ourselves from being polluted? I think if we’re honest with ourselves, we can see that we ARE affected by proximity to the world, be it through the people we’re around, or the things we allow ourselves to engage in. Either we are tempted by it, or our hearts are hardened to it, and it doesn’t seem as bad anymore. And, like a virus, our pollution becomes contagious. “Don’t you know that a little yeast leavens the whole batch of dough?” II Cor 5:6 We can’t fool ourselves. Others Christians will do what we do, and they will be affected by it as well. That brings me to one of the most convicting parts of this passage in Malachi: “why do we betray one another?” As it says, we are all children of the same Father, and when we cohabit with the world, we betray our sisters and brothers because we are not helping them have a pure holy life, with a hunger only for God. Instead, we’re helping them to have a hunger for other things. I have been realizing more and more how necessary it is that we feed our heart with good things, and not with junk that clogs our spiritual arteries and diminishes the flow of our love for God. In the end, I don’t know how to sort all of this out. We don’t want to become monks or Amish. But I do think we need to be much more cognizant of how the world affects us, and how we affect others as we engage in the things we do. I am going to close with a little story from this weekend. Ken and I went to see our family and go to my granddaughter’s birthday party. As we helped my daughter get ready for the party, my husband decided to scrub at some of my daughter’s walls, which had been scribbled on by the kids. He knew that she was embarrassed to have the birthday guests see the walls, but hadn’t been able to clean them. So my husband got a cloth and some cleaner, and applied a lot of painstaking elbow grease. After awhile, my son saw him scrubbing, and got a cloth and helped too. And they were able to get the walls clean, and it looked so much better! My daughter told me later that it reminded her of Jesus, and how he washed his disciples’ feet. Her dad washed the things that were dirty and embarrassing, that no one else wanted to work on. And then his good deeds influenced her brother to wash as well. Good deeds are contagious. Bad ones are too. Let’s make it our goal to live a holy life and be a positive influence, not be a negative one! Yikes! This is intense. We see that honoring God is uber important! But what does it mean to honor God? Because it’s not just puffing him up so he looks good or feels good, the way we might honor someone in the world. The Levi spoken of here is the tribe of Levi, who served God as his priests instead of getting an allotment of land like the other tribes. But this passage probably also refers to Phinehas, the son of Aaron. Phinehas was a pretty bold dude. In Numbers 25, some of the Israelite men were committing sexual immorality with Moabite women, and worshiping their god, Baal Peor. God was super mad about this. He said these men needed to be put to death. But before that could happen, an Israelite guy, in flagrant disregard for God, brought a Moabite woman to his tent right in the middle of the camp, in the sight of everyone. So Phinehas stood up for the honor of God. He got a spear and skewered both this man and his partner, killing them. Because Phinehas was zealous for the honor of God, God spared the unfaithful men, and made a the covenant of peace with the priesthood. This same covenant is the one that the priests at the time of Malachi weren’t keeping. First, it says that “True instruction was in his mouth and nothing false was found on his lips. . . . For the lips of a priest ought to preserve knowledge, because he is the messenger of the Lord Almighty and people seek instruction from his mouth.” A priest speaks the whole truth. He doesn’t water it down or shade it with his opinion. This is important, because people are LOOKING for someone to tell them how to please God. The want to know how to live a functional life, not a dysfunctional one. They need the correct message. Second, it says that “He walked with me in peace and uprightness, and turned many from sin.” A priest walks with God and by doing so, he keeps the people from walking away from God. God doesn’t want anyone to go down a bad path. I mean, I’m a parent. When I was raising my kids, I wanted them to respect me. But even more, I wanted them to make the right choices so they would have the full life I dreamed for them. So a priest honors God by helping the people honor God, and so have the abundant fruitful life he created them to have. Today, the Bible says in Peter that WE are priests: “But you are a chosen people, a royal priesthood, a holy nation.” We help people to honor God by walking in obedience to him, so that it will go well with them. We teach people that God is REAL and it MATTERS how they live their life. Because that’s often why people don’t honor God. They don’t think it matters. They don’t realize that the reason their life feels out of whack isn’t because they need to get better at following the American dream, it’s because they need to get better at following God. People are becoming less religious. I just read a NBC news article about a study on current religious beliefs. The study reports that the number of young adults who have serious doubts about the existence of God has doubled in the last 25 years. It also reports that the percentage of people who believe that the Bible is “is an ancient book of fables, legends, history, and moral precepts recorded by men, rather than the word of God” has gone up from 14% in 1984 to 22% in 2014. We need to fight for the honor of God! We need to be zealous for it, just as Phinehas was. I have a couple of examples I’ve seen lately of people who are zealous for God’s honor. One of my friends was at work, and her boss stated a belief that didn’t seem to jibe with the Bible. Instead of just letting it pass, my friend spoke up and said she didn’t agree, and asked if she could email her boss some scriptures to think about. My friend stood up for the integrity of the scriptures in a way that was bold, but also respectful. On Wednesday night the members of my house church went out to share our faith and invite people to a special church service we’re having. One of our members hadn’t done this before, but when he saw my fifty-something year old husband walking over to talk to some young men sitting on a bench, he jumped into motion. “Ken needs someone young to help him,” he called to us as he ran over to share with the guys. Afterwards, he was energized, and his face lit up with enthusiasm. He loved going all out for the Lord. THIS is the way to do it. We go all out for the Lord, and we end up living our best life. And then we need to help others live their best life, teaching them that God IS REAL, and it MATTERS how they live. In practice, it’s so hard, I know. But let’s let the words of God in Malachi 2 be a motivation for us to “resolve” to honor his name. I just love this verse. It has so much good stuff in it. It talks about a time when God’s name will be great among the nations. The “nations” are foreigners, people other than the Israelites. In other words, they are Gentiles. God is saying that although at this time only the Jews know him, a time is coming when He will be known more greatly — known in every place on earth. And He will be revered more greatly than He was by the Jews, revered by the very people who didn’t know him. He will be revered so much that the peoples of the earth will bring PURE offerings to him, not the second best offerings that the Jews were giving Him. God’s goal was for there to be a time when people would worship in spirit and in truth. They would not only serve Him in righteousness, they would do it WHOLEHEARTEDLY! But how would it get this way? How could He bring people who didn’t even know him to the point of wholeheartedness, when the Jews had NEVER been able to do this for long? In that day the Root of Jesse will stand as a banner for the peoples; the nations will rally to him, and his resting place will be glorious. The people of the world will rally to the Root of Jesse, as they would to a banner lifted on a battle field. We believe the Root of Jesse is Jesus, who descended from David, Jesse’s son. So this prophesy meant that Jesus would have a strong impact on people. Nothing could have the impact that Jesus has had on earth. Think for a moment what the world would be like if he had never come. Now think of all the amazing things he brought. He brought such an example of service to one another, of valuing each individual person, of goodness, of self sacrifice. It is NO WONDER that God said that His name would be great among the nations. Jesus is an immensely POWERFUL picture of who God is, one everyone could see and experience. His influence has spread far and wide. It has changed innumerable lives. I think of a couple of examples I’ve seen lately. One of my friends is training her baby to sleep through the night. It is hard to listen to the baby cry. It is hard to go through the dark hours with little sleep. But she said she thinks of Jesus and the way he died for us to save us, and that gives her the strength to do the things her daughter needs. There is a woman I am studying the Bible with who has had a very tough life. After many years of trials and being mistreated, she encountered an incredible example of a Christian forgiving a group of people who had done egregious wrong. When she saw that, she was profoundly changed forever. The story of Jesus is POWERFUL. And today, WE are the ones who are impacted by it. We are the ones who will spread the news, so that it will be known to the ends of the earth, and His name will be great among ALL nations. I am so thankful that God gives me a way to be wholehearted, to worship in spirit and truth. I revel in the example of Jesus. There are so many shining facets of his life that shape me daily. …for the earth will be filled with the knowledge of the LORD as the waters cover the sea. At the time of Malachi, the relationship between God and his people was messed up. What went wrong? Why did the Jews not wholeheartedly honor the deity who brought them through so much? See to it that no one falls short of the grace of God and that no bitter root grows up to cause trouble and defile many. looking diligently that no one deviate from the grace of God, lest any root of bitterness springing up impede you, and thereby many be defiled. Let me break this verse down a bit. It talks about “falling short” of the grace of God. The Greek word used here has the sense of being left behind in a race, and failing to reach the finish line. When I’ve read Hebrews 12:15 before, I thought it meant “miss,” like we get to a place where we don’t see the grace of God. But it actually means more that we can get to a place where we’re not keeping pace with God’s grace. That’s why I like Jubilee Bible translation of “deviate.” Because I think what happens is that we don’t stay in sync with God’s leading. We deviate, we stray off the path he is setting for us. Think of the Israelites at the time of Moses. With many miracles, God led them out of Egypt. Yet when they got to the desert, they started to freak out and complain because they didn’t see any food or water. God had a plan to lead them to the promise land. He had been giving them grace day by day, taking care of them at each step. And if they would trust this path, they would get to an awesome place. But they couldn’t stay in a state of trust. They started to drag their feet and resist the leading. Their wandering started long before God consigned them to wander in the wilderness. It’s the same in Malachi. God had led them out of captivity. He had helped them rebuild the wall and the temple in Jerusalem. Yet they asked Him, “How have you loved us?” (Mal 1:2) They brought Him their discards instead of their best. They led themselves astray. Because if we don’t rest on God’s unchanging grace, if we get out of sync, we WILL get bitter, just as it warns in Hebrews 12:15. We will let the poisonous voice of Satan seep in, telling us, “Something is wrong with this way.” We will start resenting our situation. And that bitter root will GROW. It will wind around our souls, taking over, squeezing out our joy and sanity. And then it will start polluting those around us. This whole thing has been my struggle lately. It’s SO HARD to trust God when it feels like something is going wrong. It’s so hard to not be resentful. It’s so hard to give flat out when I’m feeling uneasy. So this week I’m repenting. I’m holding tight to God. I keep saying to Him, “It’s just you and me.” My world has shrunk to that relationship. That’s all that matters. Because it IS a relationship. It’s walking hand in hand with God, keeping pace with Him through the scary times of life. God said to the Jews in Malachi, “I am not pleased with you and will accept no offering from your hands.” Like then, our relationship with God can get messed up when we have trouble trusting, and serve halfheartedly as a result. Let’s fight for faith, and our relationship with God! Let’s remember that God is leading us in a GOOD way, and stay in step with Him. It is as David wrote in Ps 23: “The Lord is my shepherd. . . . He leads me beside still waters. . . . He guides me along the right paths.” Even when we are in the dark valleys, we don’t need to fear, for HE IS WITH US. “A son honors his father, and a slave his master. If I am a father, where is the honor due me? If I am a master, where is the respect due me?” says the Lord Almighty. “By offering defiled food on my altar. “By saying that the Lord’s table is contemptible. When you offer blind animals for sacrifice, is that not wrong? When you sacrifice lame or diseased animals, is that not wrong? Try offering them to your governor! Would he be pleased with you? Would he accept you?” says the Lord Almighty. What does it mean to give our best to God? This passage paints a very emphatic picture of the importance of giving our first fruits, and how it is seriously wrong it is to offer less than our best to God. My problem is that passages like these can be a guilt trap for me, a snare of legalism. I can start thinking that I need to be giving more to God. And it is true. We really do need to make every effort to enter through the narrow door. We need to work as if working for the Lord. But we can’t get on the performance roller coaster, and feel up or down, or that we’re doing well or poorly, because of how we are giving to the Lord at that particular time. So how can we be motivated to be excellent, and still find peace? How do we find contentment if we are constantly striving to do better? Maybe one way is to simply accept our lot as servants. Another way is to just focus on loving God. If I direct my thoughts and heart to loving Him with all my heart, soul, mind and strength, a wonderful feeling washes over me, and I cease my unrest. But what I want to talk about most here is the peace that God supplies. To address this subject, I want to remind everyone that God’s heart for his people is one of “hesed:” which means “covenant loyalties.” In the Old Testament, we can see how the Lord stuck with His people over and over again, acting on their account, having patience with them, meting out consequences for their stubborn waywardness, but then bringing them back to Him once again. So Malachi reflects one of God’s last prophetic expression of hesed. He is basically saying, “I’ve been committed to you, but have you been committed to me?” After a history of rescuing them, God has now brought his people out of Babylonian captivity, back to Jerusalem. They should be overflowing with thanks, ready to serve Him wholeheartedly. But instead, they bring Him diseased offerings. Doesn’t this sound like all of us? God has done so very much for us. But we can’t seem to reciprocate in kind. I relate to this quote because I also reach the point where I can’t do the things I want to do. It’s such an irony. We must give our best to God, our first fruits. Yet we are like the Israelites, who continually sink back into blind selfishness and only give a pittance. And then we need God to help us give. I want to share a story from this past weekend. Ken and I went down to visit an old high school friend who was having a hard time and needed some encouragement. Many years ago, Ken baptized this friend, but after a short time, the friend left the Lord. We hoped to be able to rekindle some spark of this friend’s faith. I wanted so much to be a light for this friend, to show Christ by my life. But instead I felt like a rusty sputtering machine, like all my gears weren’t working, and my spirituality just wasn’t flowing. We had this awesome church in mind where we wanted to take our friend Sunday morning. But it didn’t work out for us to go there, and we had to settle for taking him some place else. And on Sunday morning, as I was feeling uneasy about the way things were going, I felt in the Spirit that it would be great for our friend to hear the story of the Prodigal Son, and I prayed that the sermon message would be on the Prodigal Son. Lo and behold, the message WAS on the Prodigal Son! It gave Ken and I a great springboard to share with our friend, and talk to him about his faith. You see, the point of all this is that when our offering to the Lord seems paltry, God steps in and makes up the rest. He makes it clear to us that He is bigger than our efforts, and we can trust His working. The Malachi passage above would be feel hopeless to me, except for one little verse, “Now plead with the Lord to be gracious to us.” In our insufficiency, we can always petition for the sufficiency of His grace. So in conclusion, we really DO need to strive to give God our best. The prophet Malachi makes it very clear. Every day we must renew the determination in our heart to be excellent. We must remind ourselves that He has been lovingly committed to us, and reciprocate. But we must also remember that every day we will fall short. And because God loves us dearly and fiercely, He’s not letting go of us when fall short. Instead, He expands His goodness to cover our lack. We find peace in the realization that God fills in the gaps between our inadequacies. For the past couple of years, I have been reading through the prophets in chronological order. I took a break from this for awhile, but thought now would be a good time for me to finish the series. I only have two books left — Malachi and Joel. I’m reading Malachi. Malachi was written after the Israelites came back to Jerusalem following the Babylonian and Persian captivities. You would think that the Jews would have been properly chastened after being in exile for 70 years. But they still fell into much sin, once they came back to Jerusalem. According to Nehemiah 13, the Jews were intermarrying with foreign people, not keeping the temple holy, and not keeping the Sabbath. Isn’t that what we do too? God tells us plainly in His word that He loves us. Yet we are always saying, “How?” We always see the things that are going wrong, and think that makes us unloved. God’s answer is to remind the Jews about Edom. “If you want to know what it looks like to be unloved, look at Edom!” Because Edom was desolated. More than that, Edom would NEVER come back to ascendancy. Contrast this with the Jewish nation, which, although they went into captivity for 70 years, was brought out of captivity. As we love to read In Jeremiah 29:11, God says to the Jews, “I know the plans I have for you. Plans to give you a hope and a future.” This was not true of Edom. A side note about Edom here. Edom was a country made up of the descendants of Esau. Although they originally settled elsewhere, they ended up in a land that was southeast of Judah, where present day Jordan is. 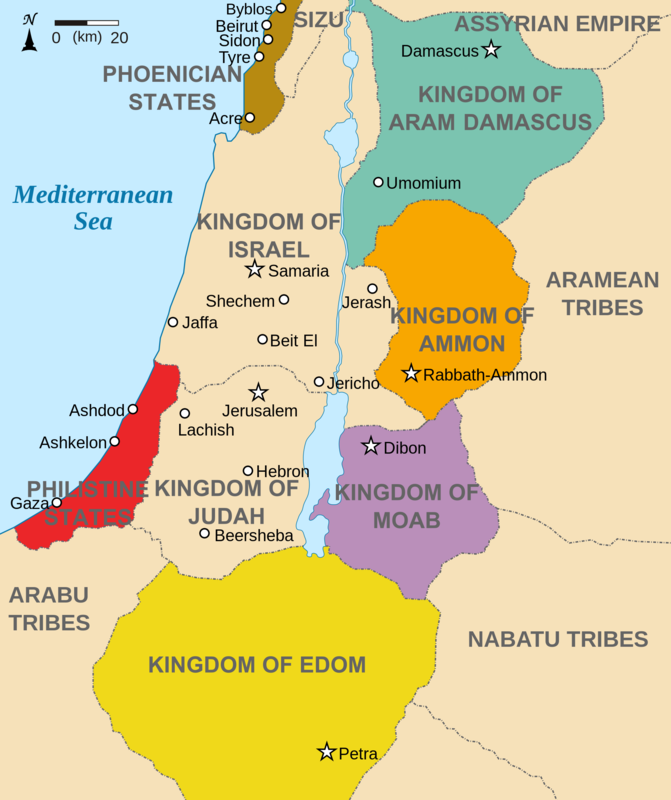 During the time of King David, King Solomon, and many of the kings after them, Edom was a vassal state of Israel. But then when Jerusalem was conquered, the Edomites joined in the destruction and pillage of the city. For this reason, God said that he would never allow them to rebuild. And it is interesting to look at the country of Jordan today. 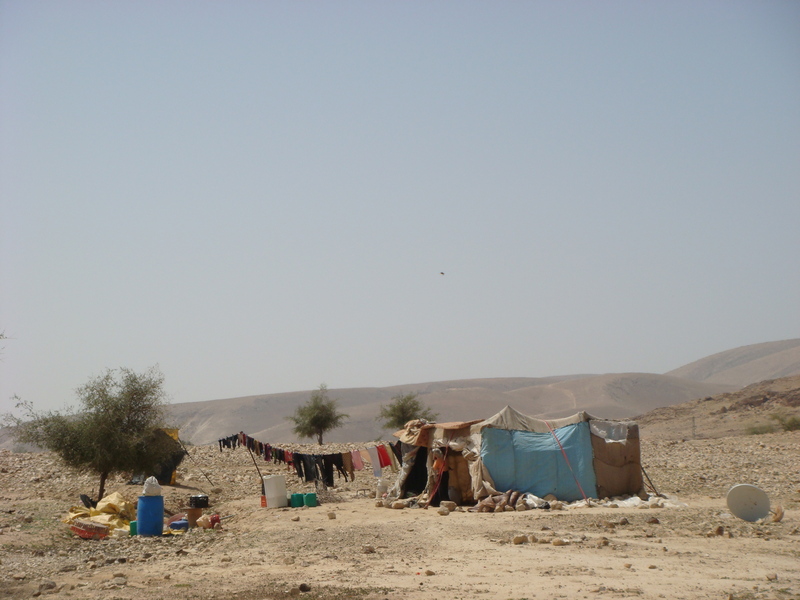 Much of the country is inhabited by Bedouins, who, according to one source I read, are “desert dwellers” who “endure the desert and have learned to survive its unforgiving climate.” The land of Edom is still a wasteland. But anyway, what I would like to focus on in this passage in Malachi is the contrast between those who have God’s grace and favor, and those who do not. One of the main ways God showed his favor to the Jews was by giving them the law. He showed them the right way to live. I’ve been reading “The Guilty Soul’s Guide to Grace” by Sam Laing lately, because I tend to feel guilty when I think of the “law” — all of the things in the Bible I SHOULD be doing. When I remember the law, I start feeling like a failure. Those who don’t follow God don’t have the benefit of knowing the right way. So with the Edomites, on one hand, they were doomed to destruction because it was their consequence from God for their actions. But on the other hand, they were not going to thrive because they did not walk according to God’s statutes. And it really strikes me lately how much the same is true today. It is like Ps 73:18 says of those who don’t follow God, “Surely you place them on slippery ground.” People who go their own way so often trip up, or end up in a mess. Haven’t you seen it? I think of friends and loved ones I’ve watched go downhill, being battered and bruised, with one bad thing happening to them after another. It’s hard to watch, and they often won’t listen to advice. So the last words of prophesy to the Jews would be that God loved them, and gave them a good path. He also in love gave them strong warnings against straying from the path, and showed them what happened to those who lived apart from it. Today, all over the world, we see the wasteland of those who do not follow God. We see wars and atrocities, people rising and then falling. Will this be a motivation to us to follow God? Will we see that God loves us and has given everything to help us walk in the right way? That we should walk in this way not out of compulsion, but in appreciation for having the ingredients for an abundant life?